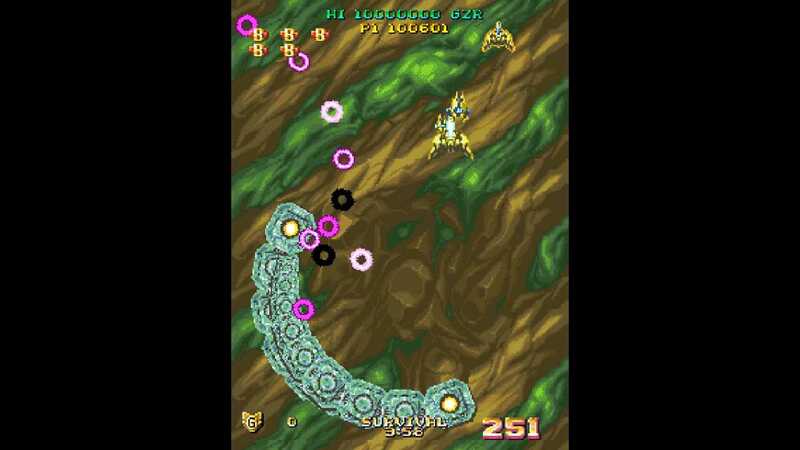 Fire Arrow and Fire Arrow X are time attack (or 'Caravan', what used to be an important tradition in Japanese STGs in 90s) style shooters with a heavy emphasis on scoring, also known as "coffee break shmups"
• Enemy waves and various other elements are randomized. Unpredictable special events may even trigger on subsequent plays. • Difficulty ramps up rather quickly and the better you do, the harder it will get. • Collect as many medals as you can, as you progress further into the game, they will become more valuable and plentiful. • Novice, 3 Minute, 5 Minute modes provide varying levels of challenge as well as a potentially greater variety of enemies and bosses to encounter. 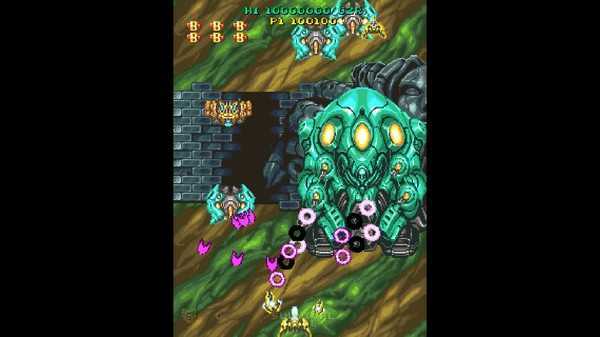 There is also a special unlockable mode that provides the greatest challenge. • Freely switch between a wide spread shot (Red) and a narrow vulcan shot (Blue) to better adapt to the situation. Unlock the bonus ship for even greater firepower! • Along with screen-clearing bombs, you also have a powerful DUAL ATTACK. • Bonus round is now accessible by normal play on a certain mode. • All new original soundtrack. • This semi-sequel or semi-remake depending on how you look at it expands upon the basic gameplay of Fire Arrow while also changing up some of the rules. • All the same modes and explosive action... now with more enemies, crazier bosses and even greater challenges! • An unlockable endless mode if you need your endless fix after completing what the base game has to offer. 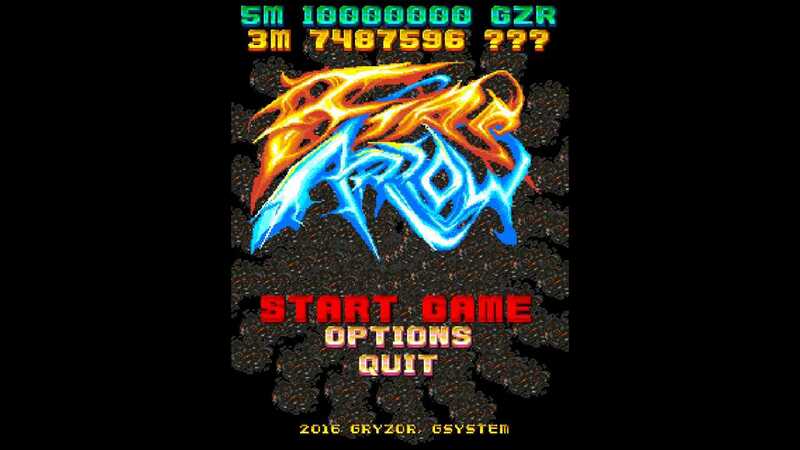 Fire Arrow and Fire Arrow X are time attack style shooters with a heavy emphasis on scoring. 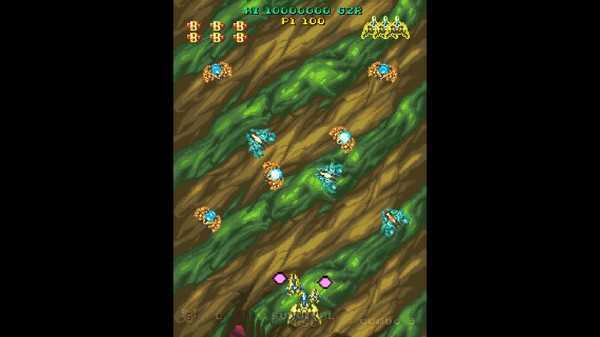 Otherwisely, you can call them coffee break shmups.